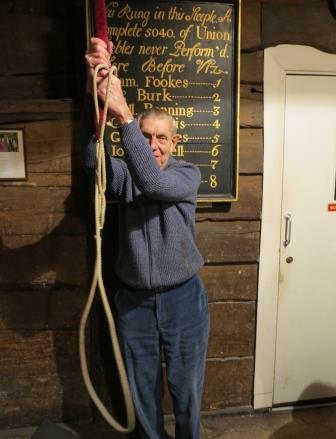 Eight bells hang in the Curfew Tower which are rung on major Christian festivals, the feasts of the four national Patron Saints, Patronal Festivals and to mark Royal Birthdays and other Royal celebratory occasions. 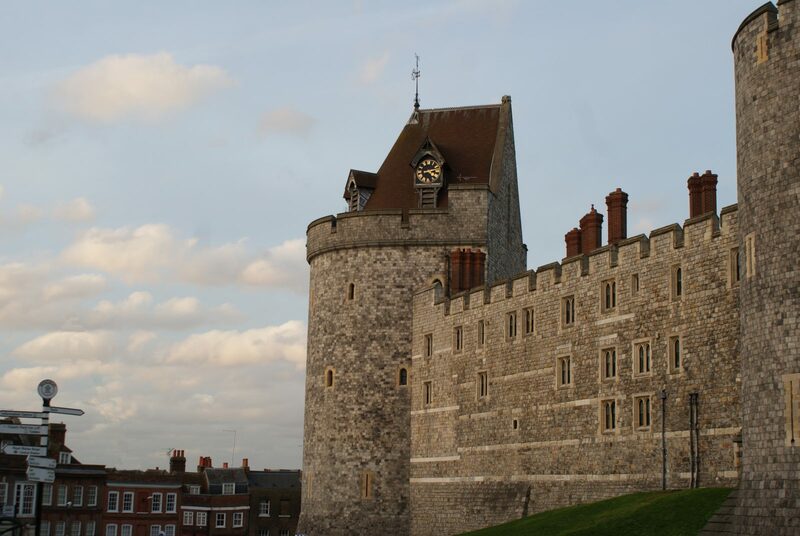 The Curfew Tower, seen here from outside Windsor Castle’s walls, was originally built as part of the Castle defences by King Henry III in the thirteenth century. In the 1470s/1480s King Edward IV made the tower available to the Chapel to serve as a bell tower. A substantial oak structure was constructed within the tower to house the bells and withstand the immense pressures generated by their swing. 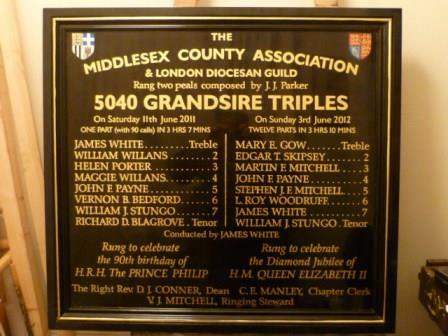 At first there were five bells; in 1612 they were re-cast and a new bell added to make a ring of six. Three of those bells remain in the Curfew tower today. The current eight bells range in date from then (1612) to 1898 and in weight from 6 cwt to 22 cwt; they are hung for ringing in an anti-clockwise circle which is unusual as in most ringing towers bells are hung clockwise. Members of the Friends of St George’s & the Descendants of the Knights of the Garter can read more about the Curfew Tower and its bells in articles contained in their 2008/2009 Annual Review. 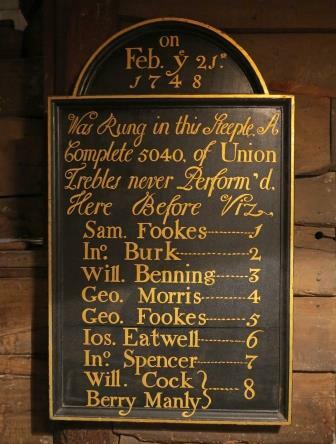 Peal boards have sometimes been made to commemorate particular important occasions. Pictured above is a peal board in the Curfew Tower dating from 1748. The picture below is the most recent board which marks both the 90th birthday of The Duke of Edinburgh in 2011 and The Queen’s Diamond Jubilee in 2012. If you look closely you will see that the 2011 peal consisted of one part with, appropriately, 90 calls.